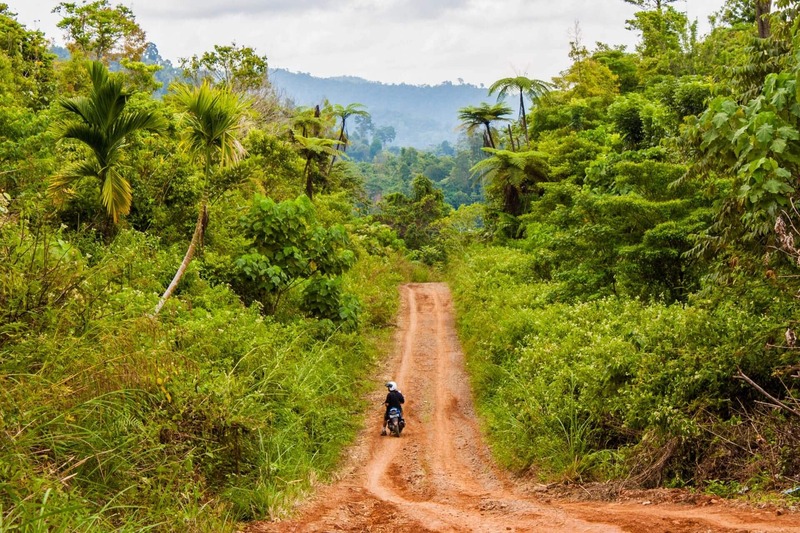 In Sumatra, you can’t get much further off the beaten track than Kerinci. How you get from point A to point B will vary greatly based upon your choice of adventure. When we create your personal itinerary, we’ll be happy to assist you in setting up your transportation as well. Below you’ll find some of the common modes of transport found throughout the valley and beyond. It’s never been easier to travel to Kerinci. 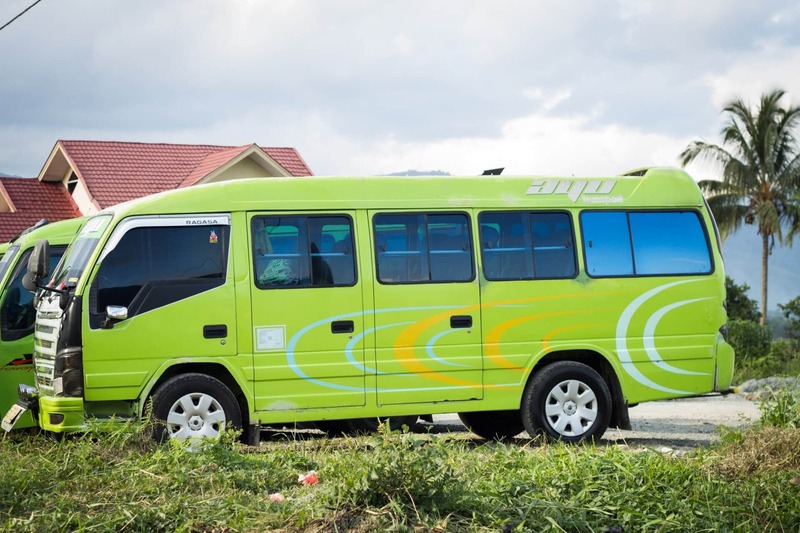 The first option is the 7-passenger MPV-type vehicles (often Toyota Innova) that cost roughly 125,000 IDR per seat from the city itself or 175,000 IDR from the Minangkabau airport. 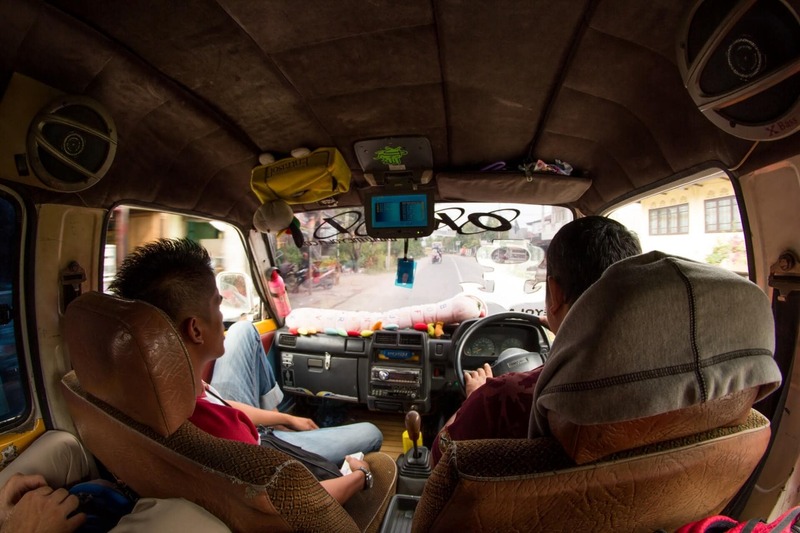 The second option is a 15-passenger mini-bus, sometimes known as an engkel, that is roughly 100,000 IDR per seat but is not allowed to pick up passengers from the airport. The final option is a 10-passenger eksekutif vehicle, which has more comfortable seats and legroom, and goes for around 130,000 IDR per seat. Each type of vehicle can pick you up wherever you like in Padang with the exception of the airport, which only the 7-passenger can enter. They all depart the city twice daily around 9am and 7pm – so plan accordingly when booking flights. However, since they drive around the city picking up other passengers, it’s not uncommon for them to be up to two hours late to your location. 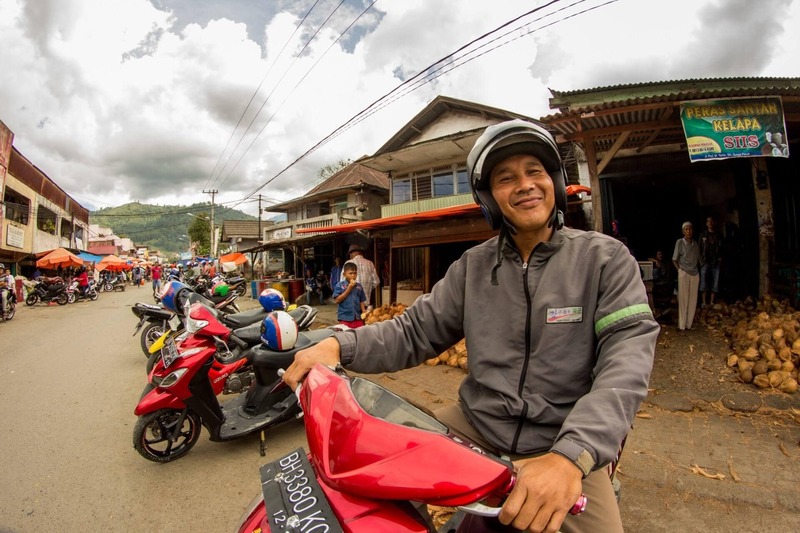 As public transport only will take you as far as the town of Sungaipenuh in the middle of Kerinci, if you are planning on doing one of the treks further south around Lempur village (the starting point for the Sumatran Tiger Trek, Lake Kaco, and Mt. Kunyit), we’ll need to arrange for a driver to pick you up for the final hour and fifteen minutes between Sungaipenuh and the village, at a cost of 150,000 IDR per car. If doing treks around Kersik Tuo (launch point for Mt. Kerinci, Mt. Tujuh, and Ladeh Panjang treks) or itineraries around the town of Sungaipenuh (where you’d start for Bukit Tapan) no such additional transport is needed. Way simpler, but of course also more expensive, is arranging for a private vehicle – usually a 7-passenger MPV-type. These can pick you up whenever and wherever you like, including the Padang airport, and drop you off wherever you like, even as far as Lempur. Per vehicle, including a driver and petrol, the cost is 1,000,000 IDR. We’re more than happy to help guests book either seats with the public transport companies, or their own private vehicles with a driver – we know it’s not always easy with the lack of spoken English in the region. While in the past, few travellers would pass through Jambi on the way to Kerinci, this is slowly changing thanks to the daily Wings Air flights between the regions. But there are also overland options if that’s more your style (and budget). From Jambi to Kerinci it takes between ten and twelve hours of driving, with the lower end being drop-off in Lempur village (the starting point for the Sumatran Tiger Trek, Lake Kaco, and Mt. Kunyit) and the upper end being drop-off in Kersik Tuo (launch point for Mt. Kerinci, Mt. Tujuh, and Ladeh Panjang treks). The town of Sungaipenuh (where you’d start the Bukit Tapan itinerary) would be in the middle. The flights depart Jambi City at 8:50 in the morning, briefly stop in Muara Bungo around 9:35am (passengers on the way to Kerinci stay on the plane), and arrive in Kerinci around 10:40am. Prices are roughly 800,000 IDR. If you have a foreign credit card, you should be able to book through the Traveloka, Tiket, or Nusatrip websites or apps, as booking directly from the airline websites almost never works. Delays are pretty frequent, so just be aware. While there’s not yet a good airport taxi system, if you speak with the airport staff you should hopefully be able to take you to Sungaipenuh or further, although it may take some negotiation. We can help arrange pickup for our guests for 150,000 IDR to Lempur or Sungaipenuh, and 250,000 IDR to Kersik Tuo. The two most popular companies are Safa Marwa and Ayu Transport, and they each have two vehicle types that service the route. The first option is the 7-passenger MPV-type vehicles (often Toyota Innova) that cost roughly 140,000 IDR per seat from the city itself or 160,000 IDR from the Jambi airport. 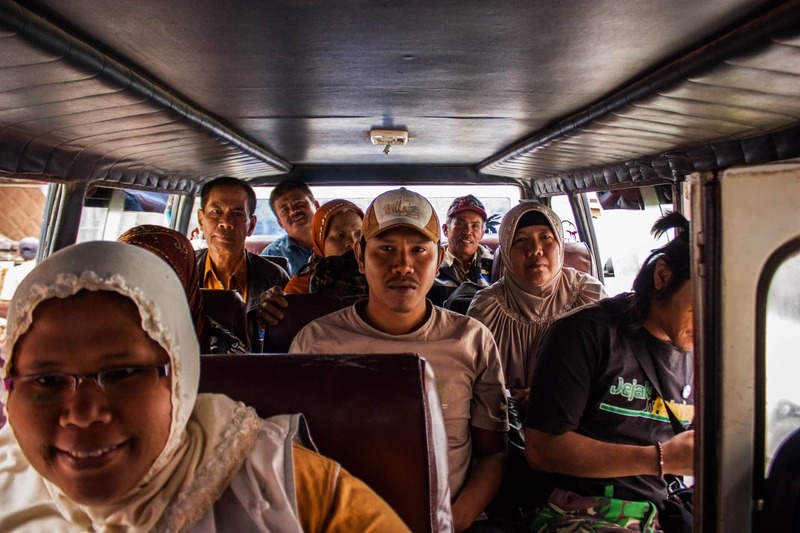 And the second option is the 15-passenger mini-bus, sometimes known as an engkel, that is roughly 115,000 IDR per seat but is not allowed to pick up passengers from the airport. Both vehicles can pick you up wherever you like in Jambi, and depart the city twice daily around 10am and 7pm – so plan accordingly when booking flights. However, since they drive around the city picking up other passengers, it’s common for them to be two hours or more late to your location. As public transport only will take you as far as the town of Sungaipenuh in the middle of Kerinci, if you are planning on doing one of the treks further south around Lempur or north around Kersik Tuo, we’ll need to arrange for a driver to pick you up for the remainder of the journey at a cost of 150,000 IDR per car to Lempur (approximately one hour away) or 250,000 IDR to Kersik Tuo (approximately one hour and forty-five minutes away). Way simpler, but of course also more expensive, is arranging for a private vehicle – usually a 7-passenger MPV-type. These can pick you up whenever and wherever you like, including the Jambi airport, and drop you off wherever you like, even as far as Lempur or Kersik Tuo. Per vehicle, including a driver and petrol, the cost is 1,200,000 IDR. We’re more than happy to help guests book either seats with the public transport companies, or their own private vehicles with a driver – we know it’s not always easy with the lack of spoken English. Bukittinggi is a popular gateway to Kerinci as well, and the direct drive from the town can save a few hours as you don’t have to pass through Padang. But it’s a long, roughly 9 to 11 hour drive, depending on where in Kerinci you’re going, as well as road conditions. Both Safa Marwa and Ayu Transport service the route, as well as a few other companies. There are only morning departures, roughly around 10am, and they can pick you up wherever you like in the city. Most hostels and hotels can help reserve seats, and of course we are happy to reserve them for our guests as needed. One seat costs roughly 130,000 IDR. As public transport will take you past Kersik Tuo and as far as the town of Sungaipenuh in the middle of Kerinci. If you are planning on doing one of the treks further south around Lempur, we’ll need to arrange for a private driver to pick you up for the remainder of the journey, at a cost of 150,000 IDR per vehicle. Way simpler, but of course also more expensive, is arranging for a private vehicle – usually a 7-passenger MPV-type. These can pick you up whenever and wherever you like, as far as Harau Valley or Lake Maninjau, and drop you off wherever you like, even as far as Lempur. Per vehicle, including a driver and petrol, the cost is 1,200,000 IDR. Far fewer travellers come through Bengkulu, which is a shame as it’s a great little city with beautiful coastline, and the province as a whole is incredible and filled with potential. Public 15-passenger public vehicles depart Bengkulu around 10am, and cost roughly 175,000 IDR per seat. The drive to Sungai Penuh takes between 12-14 hours. Private vehicles cost roughly 1,800,000 IDR. If you’re in Bengkulu, consider reaching out to our friends at the similarly named, but actually separate entity, Wild Sumatra Tours. Fly to Padang, and travel overland, as described in the first tab above. Fly to Jambi, and then either fly or drive to Kerinci, as described in the second tab. An important note if you choose to fly from Jakarta to Jambi and onward to Kerinci: it’s best to fly to Jambi the day before and spend the night in that city. Then, the next morning, take the Wings Air flight to Kerinci. While there are a few 5:45am flights from Jakarta to Jambi that should in theory give you enough time to catch the 8:50am flight to Kerinci, it’s very common for those early Jakarta-Jambi flights to be delayed or cancelled. Which means, the flight to Kerinci is missed, and the whole itinerary in Kerinci is subsequently messed up. So be aware of the risk! Fly to Jambi, spend the night, and then fly to Kerinci the next morning, as mentioned in the second tab. Note: While there are direct Medan to Padang flights with a couple of different airlines, strangely it’s often cheaper to fly with AirAsia from Medan to Kuala Lumpur, and then Kuala Lumpur to Padang. Fly to Kuala Lumpur with AirAsia, then from there fly to Padang, followed by the overland drive. This is most likely the cheapest option. Bonus: if you need to do a visa run, this will take care of that. Fly to Jakarta, then onward to Padang, followed by the overland drive to Kerinci as mentioned in the first tab above. Fly to Jakarta, then onward to Jambi and spend the night. In the morning, fly to Kerinci, as mentioned in the second tab. Fly to Kuala Lumpur, and then take an AirAsia flight to Padang, followed by the overland drive. Fly to Jakarta, and onward to Padang, followed by the overland drive. Fly to Jakarta and onward to Jambi, where you’ll spend the night. The next morning, fly to Kerinci with Wings Air. Take a ferry to Batam, then fly to Jambi where you’ll spend the night. The next morning, fly to Kerinci with Wings Air. Kuala Lumpur has direct flights to Padang three times daily with AirAsia. From Padang, you’ll need to drive overland as described in the first tab. Each type of vehicle can pick you up wherever you’re staying in Kerinci, as long as it’s Sungai Penuh and northward. If you’re coming from Lempur, we’ll need to arrange private transportation for the hour and fifteen minute drive to Sungai Penuh for 150,000 IDR. 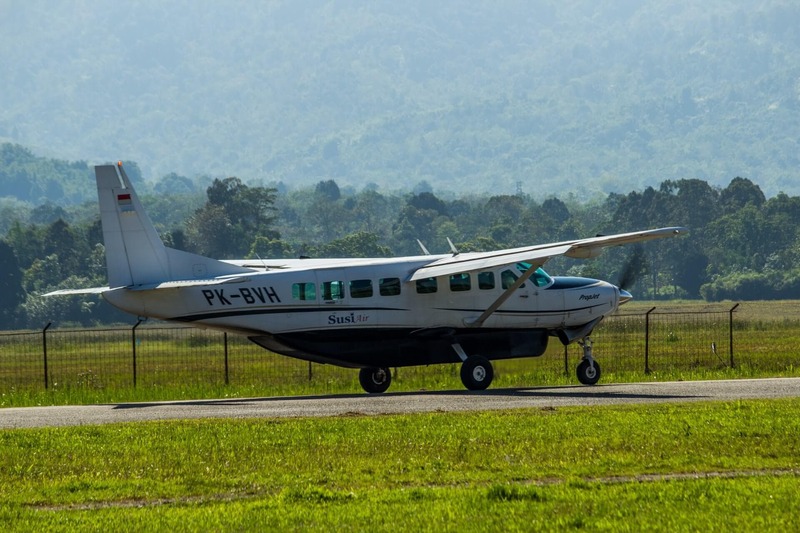 The vehicles can drop you off anywhere in Padang, with the exception of the airport, which only the 7-passenger can enter. They all depart the Sungaipenuh twice daily around 9am and 7pm – so plan accordingly when booking flights. If you’re in Kersik Tuo, the pickup is roughly an hour and a half later than that. However, since they drive around picking up other passengers, it’s not uncommon for them to be a bit late to your location. Way simpler, but of course also more expensive, is arranging for a private vehicle – usually a 7-passenger MPV-type. These can pick you up whenever and wherever you like, including in Lempur, and drop you off wherever you like, even as far as the airport in Padang. Per vehicle, including a driver and petrol, the cost is 1,000,000 IDR. We’re more than happy to help our guests book either seats with the public transport companies, or their own private vehicles with a driver – we know it’s not always easy with the lack of spoken English in the region. From Kerinci to Jambi it takes between ten and twelve hours of driving, and there are public and private transport options, similar to what is mentioned in the previous Jambi tab above, but in reverse. However, most people that go to Jambi take the Wings Air flight. The flights depart the Kerinci airport at 11:00am, briefly stop in Muara Bungo, and then arrive in Jambi around 12:50pm. Prices are roughly 600,000 IDR. If you have a foreign credit card, you should be able to book through the Traveloka, Tiket, or Nusatrip websites or apps, as booking directly from the airline websites almost never works. Delays are pretty frequent, so just be aware. Definitely don’t schedule any critical international flights on the other end! If flying onward after Jambi, it’s important to book the whole route with Lion/Wings Air. That way, if the Wings Air flight is cancelled or delayed, it shouldn’t be as difficult for Lion Air to put you on a different flight, as it’s the same company. If it’s a different airline you’re trying to catch, this can be much more difficult. Bukittinggi is a popular destination after Kerinci as well, and the direct drive to the town can save a few hours as you don’t have to pass through Padang. But it’s a long, roughly 9 to 11 hour drive, depending on where in Kerinci you’re coming from, as well as road conditions. Both Safa Marwa and Ayu Transport service the route, as well as a few other companies. There are only morning departures, roughly around 10am, and they can pick you up wherever you like from Sungai Penuh to northern Kerinci. One seat costs roughly 130,000 IDR. If you are coming from one of the treks further south around Lempur, we’ll need to arrange for a private driver to pick you up to bring you to Sungai Penuh first, at a cost of 150,000 IDR per vehicle. Way simpler, but of course also more expensive, is arranging for a private vehicle – usually a 7-passenger MPV-type. These can pick you up whenever and wherever in Kerinci that you like, and drop you off in as far as Harau Valley or Lake Maninjau. Per vehicle, including a driver and petrol, the cost is 1,200,000 IDR. Far fewer travellers go onward to Bengkulu, which is a shame as it’s a great little city with beautiful coastline, and the province as a whole is incredible and filled with potential. Public 15-passenger public vehicles depart Sungai Penuh around 10am, and cost roughly 175,000 IDR per seat. 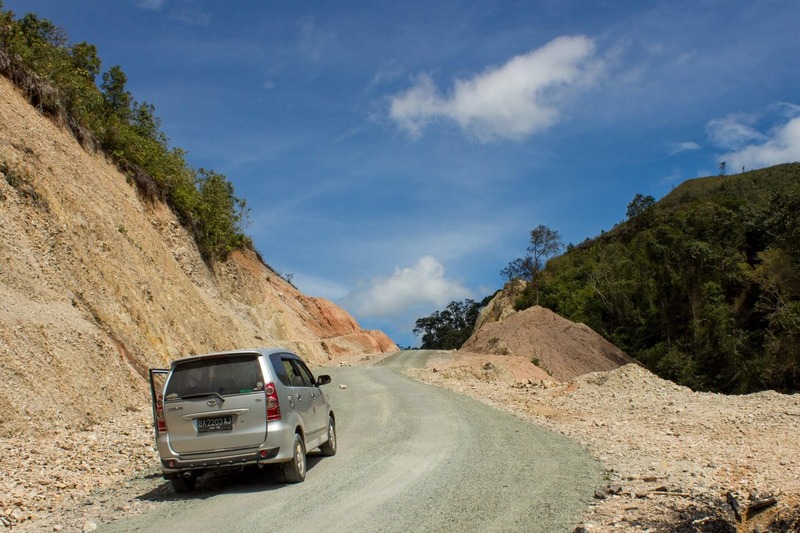 The drive to Bengkulu takes between 12-14 hours. Private vehicles cost roughly 1,800,000 IDR. Drive overland to Padang as described in the first tab above, and then fly. Fly from Kerinci to Jambi, and then fly onward to Jakarta. If flying from Kerinci, it’s important to book the whole route with Lion/Wings Air. That way, if the Wings Air flight is cancelled or delayed, it shouldn’t be as difficult for Lion Air to put you on a different flight, as it’s the same company. If it’s a different airline you’re trying to catch, this can be much more difficult. Also, with the fairly frequent delays, make sure to not have any critical international flights on the other end. Drive overland to Padang, then take a direct flight to Medan. You could also transit through Gunung Sitoli (Nias), Batam, or Kuala Lumpur (although, you would need to spend the night in Kuala Lumpur). Fly from Kerinci to Jambi, spend the night, and then fly to Medan the next morning. 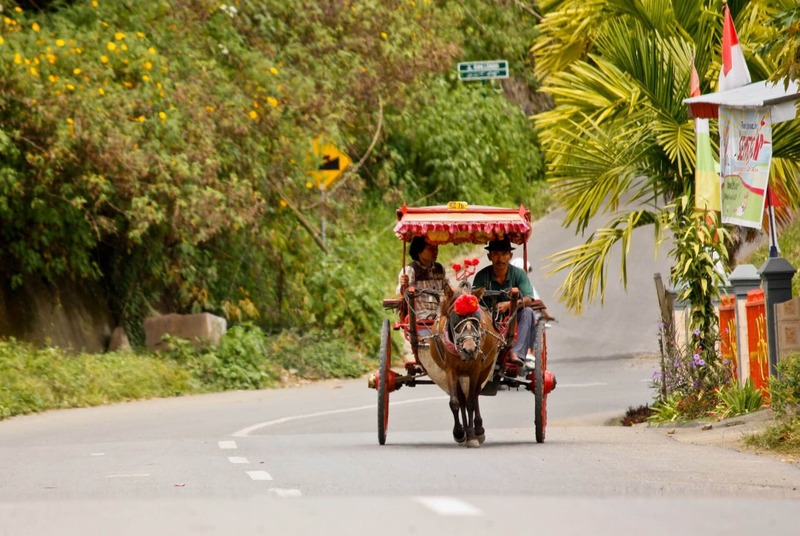 Drive to Padang, then fly to Kuala Lumpur with AirAsia, and onward to Denpasar, Bali. This is most likely the cheapest option. Bonus: if you need to do a visa run, this will take care of that. Drive to Padang, then fly to Jakarta, and onward to Denpasar. Fly from Kerinci to Jambi in time to catch the flight to Jakarta, and onward to Denpasar. You should be able to do this in a single day. If indeed you’re going for a single day, just be sure to schedule the whole route with Wings/Lion Air, so that if there are delays and you miss a connection, they should be able to get you on the next available flight without too much hassle (fingers crossed). Drive overland to Padang. Then, fly to Kuala Lumpur with AirAsia, and onward to Singapore. Drive to Padang, and then fly to Jakarta and onward to Singapore. Fly from Kerinci to Jambi and spend the night. In the morning, fly to Batam, and then take a ferry to Singapore. Fly from Kerinci to Jambi and onward to Jakarta. Spend the night there. In the morning, fly to Singapore. Drive overland from Kerinci to Padang. From Padang, there are direct flights to Kuala Lumpur three times daily with AirAsia. 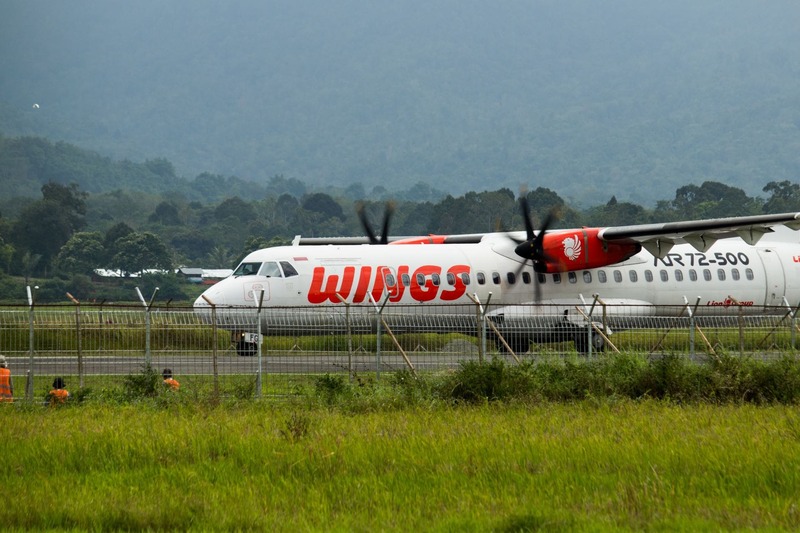 Minangkabau International Airport in Padang, West Sumatra is the closest international port-of-entry, as it has twice daily flights with AirAsia to/from Kuala Lumpur, Malaysia, as well as new direct flights connecting it with Singapore. It also can easily be reached from hubs like Medan, Batam, or Jakarta. From the Padang airport, it’s roughly a nine hour drive to Kerinci. Jambi City’s Sultan Thaha Airport also has direct flights to/from Jakarta, Batam, Medan, and a few other cities in Sumatra. From Jambi, you can fly to Kerinci directly with Wings Air. If choosing to drive, the journey takes around nine-and-a-half-hours. However, the road is much straighter and better maintained than the road from Padang, which results in a more comfortable ride, especially if you’re prone to car-sickness. A final option is to come from Fatmawati Soekarno Airport in Bengkulu. The drive from Bengkulu to Sungaipenuh is roughly twelve hours.